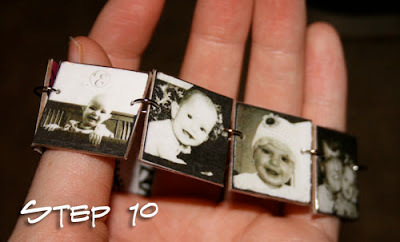 As promised, the tutorial for my black and white photo bracelet I made for my mother. 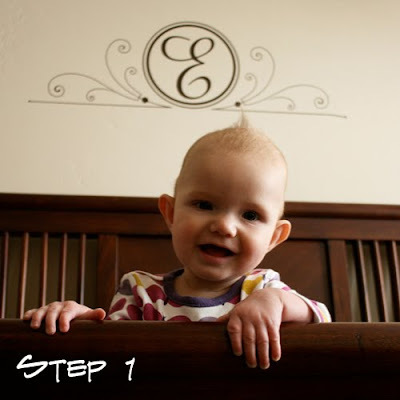 The following tutorial was made using Photoshop, but the same principles apply with any photo editing software. This is a two part tutorial- first half I'll show how to "Through The View Finder-ize" your pictures and the second half is the bracelet tutorial. 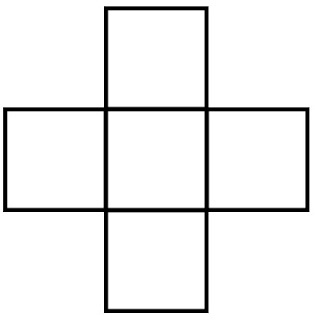 Select a picture and crop it into a perfect square. 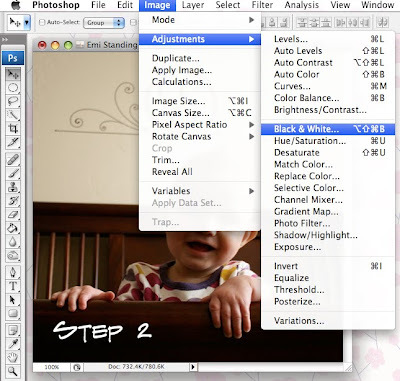 In Photoshop, turn the picture black and white: Image-Adjustments-Black & White. It will come up with a menu for you to adjust the levels manually, but just click through that. Your image will now be black and white. Next, I love images that have striking black and white contrast. If you do, too select: Image-Adjustments-Brightness/Contrast. Adjust the levels according to your preference. Pick the Through the Viewfinder image you would like for your picture. There are a TON of images HERE in the TTV Flickr pool. I chose this one. Save it to your computer and open it next to your picture in Photoshop. Drag the TTV image on top of your picture. Note: I made my picture the same size as the view finder image (500px by 500px) to make it easy. 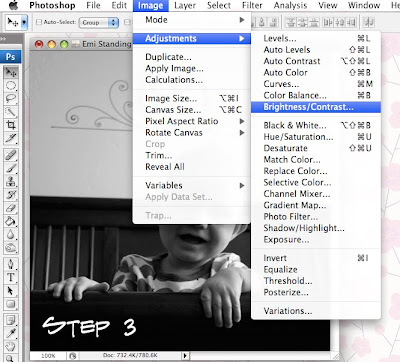 Make sure the TTV image layer is selected and change the layer selection to "darken." This will make your picture show through. Note: there are many different options to choose from and you may like some of the other selections like overlay, soft light or hue better. Play around with it until you get something you like. 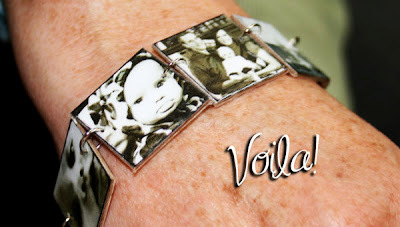 Once you have all of your images Through the View Finder- ized you can head into making the bracelet. 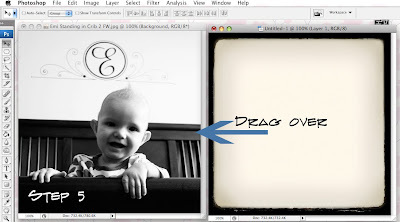 Resize your images to 1in x 1in and print off. Cut each square out and glue onto a thick piece of cardboard. 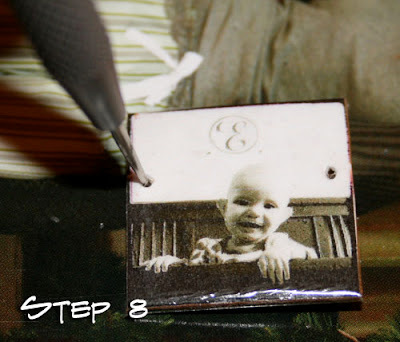 Place a picture square face down onto the sticky part of a piece of packing tape making sure that it is smooth. Then, cut the corners out of the tape and seal the picture piece into the tape. Complete for all of your squares. 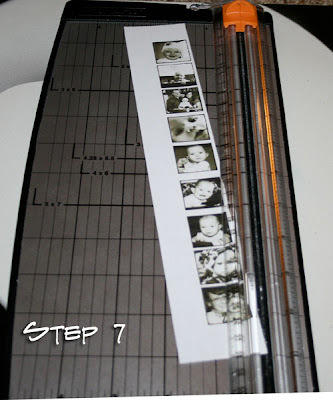 Attach jump rings on each side of your picture squares. Connect all of your squares until you have a bracelet large enough to fit around your wrist. 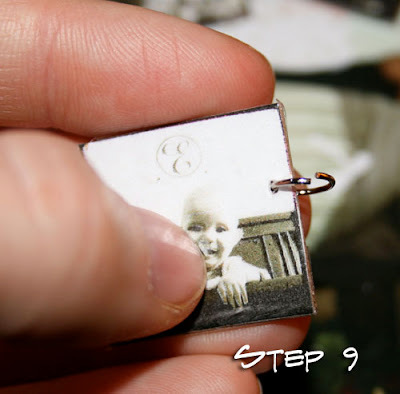 Complete the circle but attaching your jewelry clasp to the last two pieces. A beautiful, very inexpensive bracelet! I made one for myself, too- I love it!! This is awesome! I'll definitely have to try it. I thought it was going to be MUCH harder than this. Such a great bracelet! But, I have to ask where you got the monogram that's on your wall. I love it! That is just too cute. I would love to have one. Thank you for sharing your idea. What a special gift. We just got Photoshop, so I'll have to try and figure this out! I love the Ttv frames, but haven't used any yet. My MIL would love a bracelet like this one. Thanks for sharing how you made it. Wow, that is so cute! What a unique idea. :) Thanks for linking!! 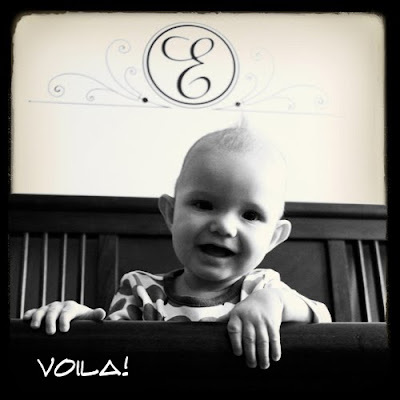 With such a darling little model, no wonder it turned out so great! Wonderful tutorial. Indeed, I did purchase the decal from HouseHoldWords. Here is the link. I have been wanting to buy photoshop for some time, and this has inspired me to finally do it. What version do you have or would you recommend for a newbie?? Love this idea. Thanks for sharing your creativity. This bracelet is so FABULOUS!! I absolutely love it and will be featuring! Gorgeos! 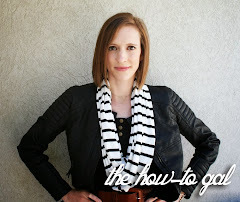 I love it--and I'm going to link to it (www.fun2bfrugal.blogspot.com). You could probably make something like this out of those little shutterfly tiles that come with your photo order. thanksfor the step by step instructions! Great idea. This would work with those tiny student exchange size school pics too. Hope you don't mind. I love this bracelet!!!! Thank you so much for sharing this!!!! I LOVE photoshop and would recommend it to anyone. 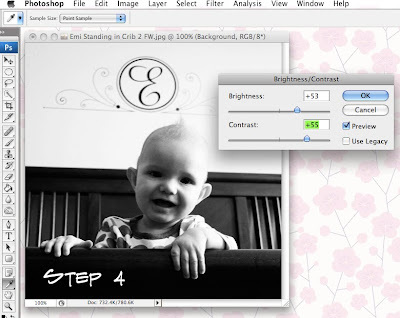 I have CS3 which is the older version...but it works for me! However, the creative suite comes with a ton of other programs and if you only want photoshop, I would go for photoshop elements. It is less expensive and I believe has the same functionality. Hope this helps! This is such a cute idea! I love using cardboard because I'm cheap :) I've started using cereal boxes, several sheets glued together with Elmer's glue to get thick pieces to work with. I bet that would work just fine for this bracelet too. Thanks for sharing! This is really cute. I definitely want to try making one! Thanks for answering my question about Photoshop. Yes, that is very helpful. I think you are right about PSElements being the right choice. I have no clue how to use it, so I want to start off with the more basic version. Thanks so much and again, I love this project! I love this. Thanks so much for the tute! I will try it in Paint Shop Pro. LOVE this. I'm saving this for a mother's day crafty post on BlogHer. I like this little project. It's very easy to execute. I did this for my daughter's basketball team and it's a hit! Great job! I just found your blog, and I LOVE it! Great ideas! This is such an adorable idea! I often use the online site Picnik to edit photos because I'm too lazy to figure out stuff like PhotoShop. I'm pretty sure there's a Ttv tool on there. I am totally doing this for my mom's birthday next month...! Looks really nice! I will create it for my sister. Is Photoshop the best variant for black and white photos ? My friend is using macphun.com/tonality and it's great. I didn't work with this software but pictures are amazing.